The Wittenburg Group is a family-owned designer and compounder of demanding customized polymer compound solutions. Our flexibility and willingness to customize to consumer needs, our medical compounding infrastructure, our capability to produce complex and multi-component engineering plastics compounds, our independence from any raw material supplier and our customer support are the key strengths of the Wittenburg Group. For over 115 years the Wittenburg Group has built an international reputation when it comes to technical achievements, innovation, quality and reliability. The company is based on a strong Research & Development ethos. This allows us to deliver technical solutions for highly regulated and risk-averse markets. Wittenburg BV is a manufacturer of high performance and innovative thermoplastic elastomers. Wittenburg specialises in the development and manufacture of TPE materials for medical and highly regulated products. development and manufacture of technically high performing engineering plastic compounds with over 30 base polymers for the automotive, transportation, aviation, electrical, electronics, industrial, medical and consumer markets. Xunfeng in Zhuhai (China) is the latest member of the Wittenburg Group. The Xunfeng facility uses proven international technology and quality systems to support the Asian-Pacific market with medically compliant polymer compounds, pre-coloured compounds and highly specialized engineering plastic compounds. 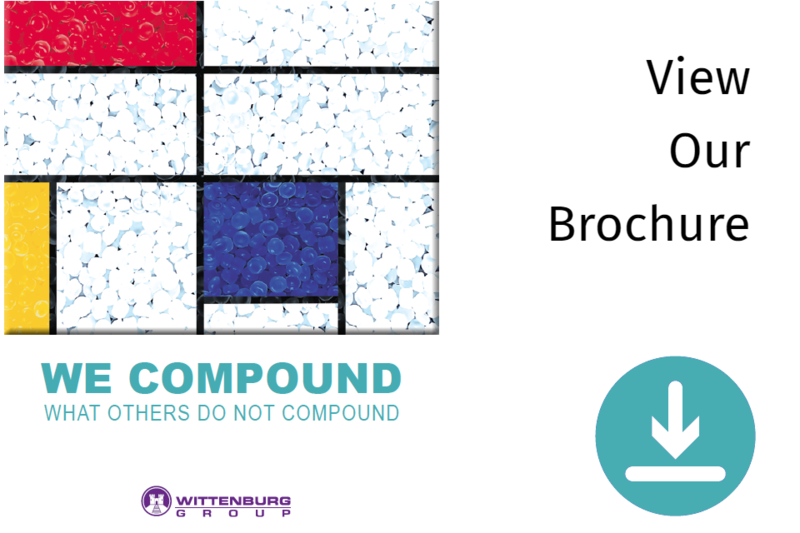 The Wittenburg Group has the flexibility to support customers worldwide with dedicated compounds in batch sizes from 10 kg to full container loads.